In the deepest parts of the sea, many things are still unknown – there are thousands of species waiting there to be discovered! Luckily, you don’t have to wait until science has caught up to see all of them – I have a few right here. The lightbulb angler is among them. 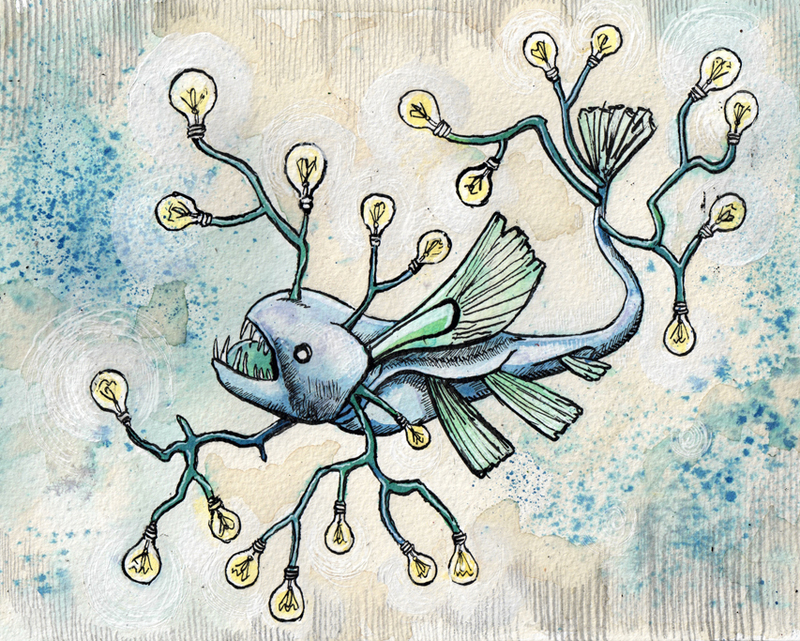 This complicated creature searches the sea floor for discarded lightbulbs and uses his body as an energy source to power them, in order to lure in tasty deep sea moths! Sea Dogs are descended from a single spaniel called Susan, who disappeared from a Scottish beach one day after chasing a ball into the ocean. 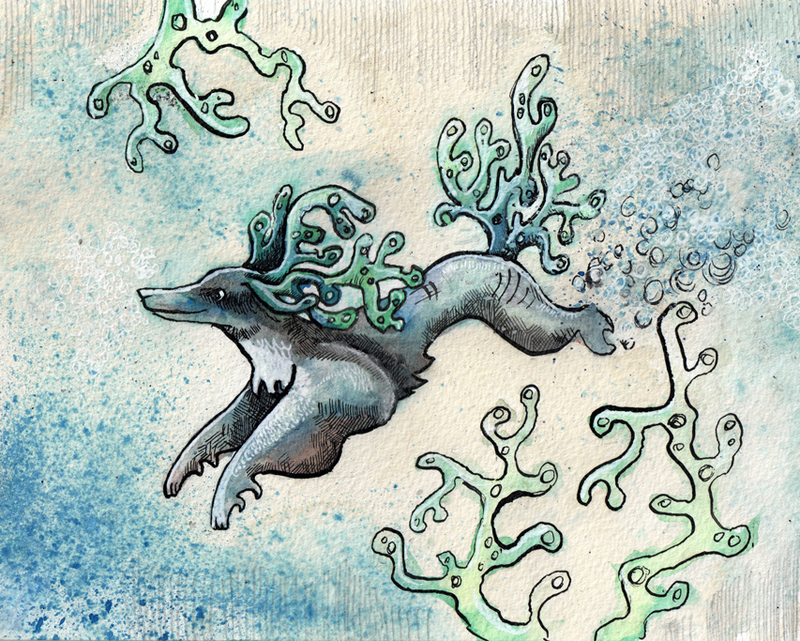 They have evolved the ability to live under the waves, where they spend most of the day hunting jellyfish and rolling in seaweed. One of the rarest species is the smallest and most intelligent species of eel, the Architect Fish. The eels are elusive and almost never seen, but occasionally you can see the elaborate cities they build on the backs of whales! 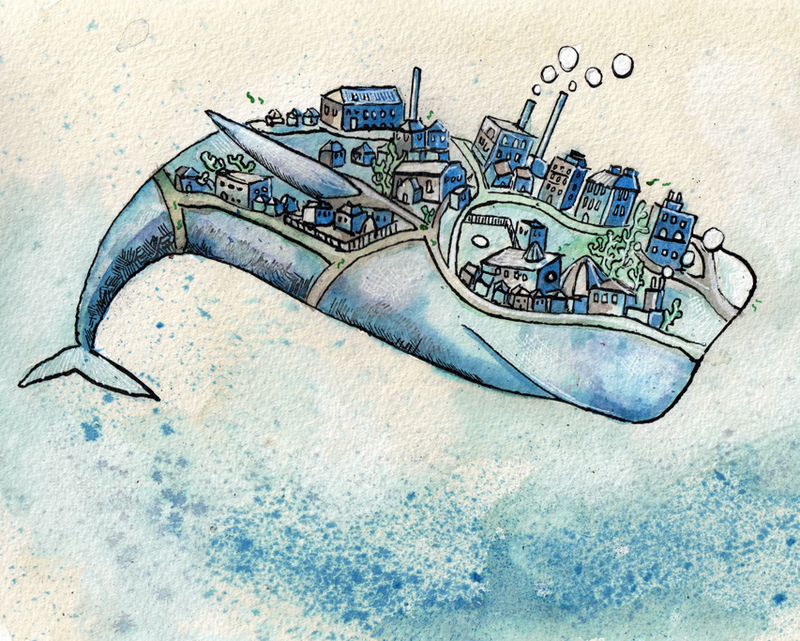 The whales don’t seem to mind. All of these creatures are available to buy on Etsy! I’ll list them in print form sometime soon as well.